The government and the Congress are also likely to cross swords over the arrest of Union Finance Minister P. Chidambaram's son Karti by the CBI in the INX Media alleged bribery case. The Congress has termed the CBI action "political vendetta". 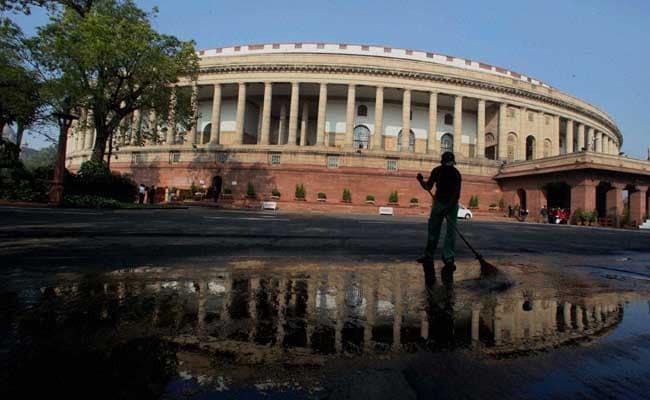 New Delhi: The second half of the budget session of parliament will commence on Monday with the government seeking to push its legislative agenda, including the bill for confiscation of properties of fugitives, and the opposition likely to target it on a range of issues including the multi-crore bank frauds. The session begins two days after the election results in the northeast were announced that saw the BJP winning in Tripura and improving its performance in Nagaland and Meghalaya. The BJP is expected to be in high spirits to take on a combative opposition that has been seeking to pin down the government over the Rs 12,600 crore Punjab National Bank (PNB) scam involving diamantaire Nirav Modi and his uncle Mehul Choksi. Though the government has taken several steps in the light of the massive bank fraud - the Fugitive Economic Offenders Bill; the directive to public sector banks to identify and report NPAs over Rs 50 crore to the CBI; nod to set up an authority to oversee auditing standards of large companies besides swift action by the CBI and the ED in the Nirav Modi case - the opposition is likely to keep up its offensive and seek a response from Prime Minister Narendra Modi. The Fugitive Economic Offenders Bill, 2018, which will be introduced during the session, provides for confiscation of properties of people who flee the country after committing huge financial frauds. It provides for giving an application before the Special Court for a declaration that an individual is a fugitive economic offender, attachment and confiscation of his property resulting from the proceeds of crime as also his other property in India and abroad, including benami properties. The Finance Ministry on February 27 directed public-sector banks to scan their Non-performing Asset (NPA) accounts above Rs 50 crore for possible fraud and refer any such fraud cases to the Central Bureau of Investigation (CBI). The Ministry has also given these banks a 15-day window to identify gaps and brace for increasing operational and technical risks to the banking system. The BJP, on its part, has been stating that the multi-crore PNB fraud has its genesis in the Congress-led United Progressive Alliance government's tenure. A relief for the government is that the opposition is divided over suggestions for a Joint Parliamentary Committee (JPC) probe into the PNB fraud. The Trinamool Congress does not appear favourably disposed to the idea, having said that previous JPCs have not yielded results. The opposition is also likely to corner the government over the tussle between Prasar Bharti and the Information and Broadcasting Ministry. 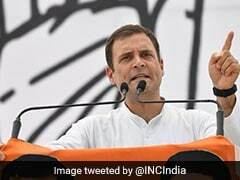 It is likely to raise issues concerning farmers, the Rafale deal, Staff Selection Commission "job scam", loss of life and property due to ceasefire violations on the LoC and increase in cost of petroleum products. Apart from the finance bill, the government may also push for passage of the pending triple talaq bill during the session that ends on April 6. The first part of the budget session was held from January 29 to February 9.